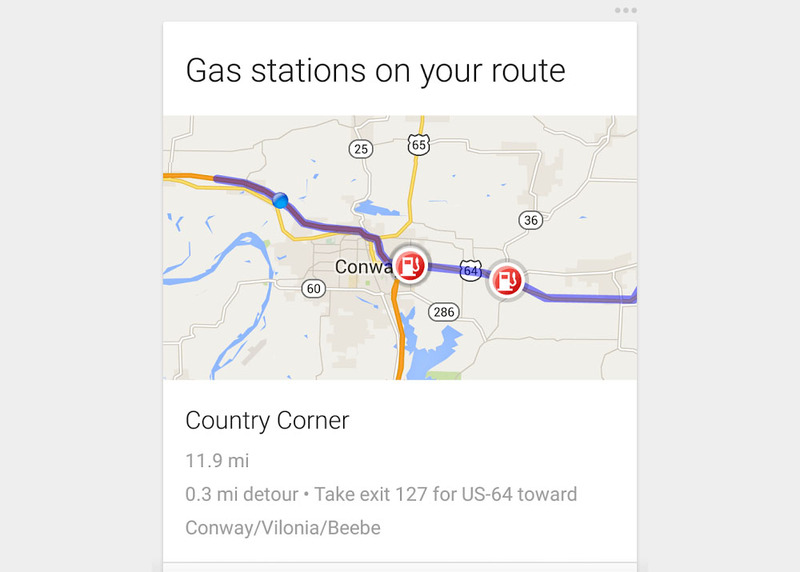 Ever been on a long road trip in unfamiliar territory and wondered, “Am I going to make it to the next town before running out of gas?” Google will try to help answer that question in an automated fashion, thanks to a Google Now card that shows you gas stations on your route. It’s not clear why or when this card is deciding to appear, other than the fact that it might recognize that you have been driving for some time and are nearing gas stations. The user who posted the card to Google+ seems to think it is based off of GPS, time, and the fact that he had not stopped in a really long time. That certainly makes some sense, but you’ll also have to hope that Google recognizes all of those factors at the right time in order to display the card properly. Have you seen this card appear?